Kaleb Briscoe, a Ph.D. student in the Department of Educational Administration, has received a research award and a research grant from ACPA: College Student Educators International. The Nevitt Sanford Award for Research from ACPA’s Commission for Professional Preparation financially supports dissertations, theses, or specific research projects in student affairs. ACPA’s Commission for Student Involvement Research Grant encourages research and scholarship in student involvement and engagement. Awards are evaluated on description of the issue being investigated, research design and research significance. Both awards are for Briscoe’s research project titled, “Student Affairs Professionals’ Experiences with Campus Racial Climate at Predominantly White Institutions.” The purpose of this qualitative study is to explore experiences that Student Affairs Professionals’ (SAPs) encounter at PWIs with campus racial climate incidents and how SAPs are making meaning of those experiences. 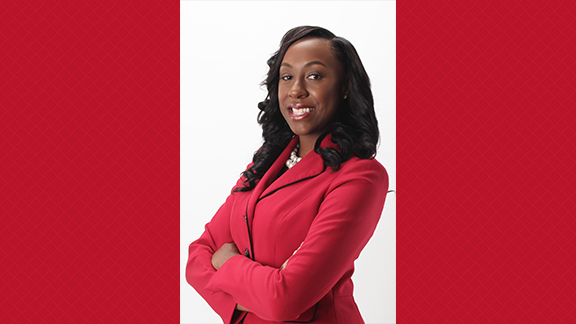 “As a former student affairs professional, who worked in roles such as the associate director of student life at the University of Houston-Victoria (UHV) and the assistant director of student involvement at Indiana University-Purdue University Columbus (IUPUC), I understand the complexities that exist when navigating issues surrounding campus racial climate,” said Briscoe. The awards will be presented at the Commission for Professional Preparation and Commission for Student Involvement meetings in March at ACPA’s national convention in Houston, Texas. Briscoe will be recognized collectively with other award recipients at the ACPA awards ceremony. A monetary award is included, and Briscoe says she will use the funds to pay for transcription services for the research interviews she will conduct.